Without a doubt, it is best to enjoy the northern lights on a dark, moonless night. 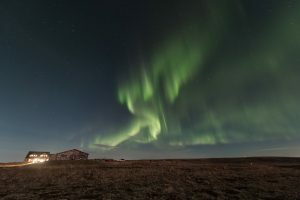 The bright light of the full (or almost full) Moon definitely has an effect on the visibility of the northern lights – although not by much. Case in point. 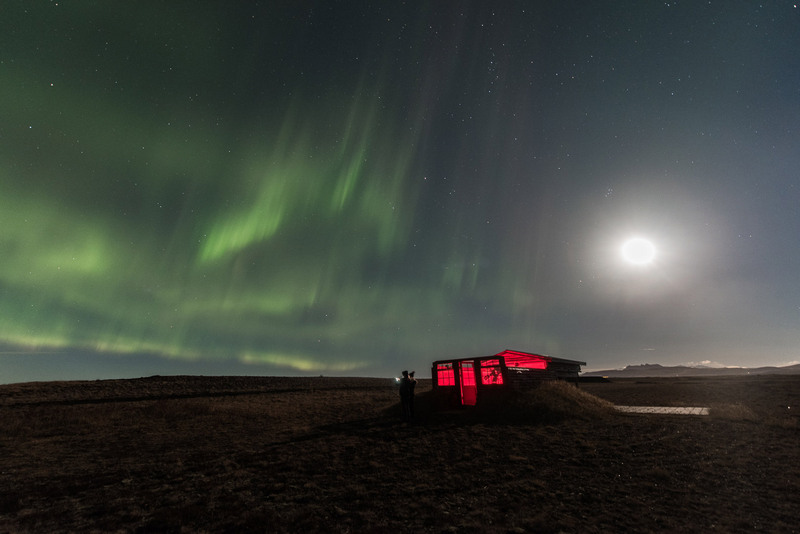 The featured picture and the one below were taken from Hotel Rangá in south Iceland, only a couple of days after October’s full Hunter’s Moon. That night, the auroras were quite bright and the almost full Moon proved no match. So, the Moon mostly affects dim auroras but does not have much effect on a strong aurora display. Full Moon can even be photographers friend, illuminating the landscape to make for an even prettier aurora image.